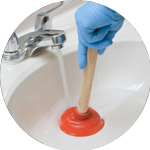 Since 2005, our team of skilled and reliable Plumbers in London have been completing a wide variety of tasks to an exceptional standard. 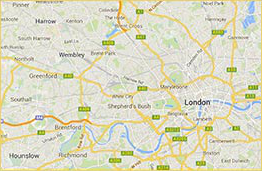 They have been patrolling the Islington area on their signature yellow scooters and vans, delivering the very best in plumbing services. 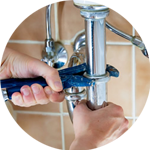 Given the longevity of their service, there is no task too unpleasant or arduous for any of our Plumbers in Islington. Using their unrivalled level of expertise and knowledge, they will be able to assist with wide range of issues. They will be able to help with both sink macerator and disposal unit installations as well as providing assistance on how to unblock a bath and how to fit a washing machine. Their skillset continues with their knowledge on how to effectively fix a leaking tap with ease. Islington is a district within greater London and forms part of the London Borough of Islington. In Harry Potter and the Order of the Phoenix, the headquarters for the order are located at Number 12 Grimmauld Place in a fictitious street within Islington. 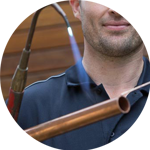 Plumbing is only the beginning when it comes to exceptional trade services provided by the Handy Squad. We also have a Handyman in Islington to make sure any general DIY issues can be dealt with. They have an impressive skillset which includes: flat pack assembly, floor tiling and hanging shelves. We also have an Electrician in Islington to ensure any electrical tasks can be completed both safely and effectively. 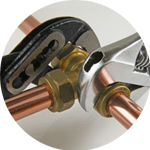 It is vitally important to have qualified and reliable electricians at hand for anything that relates to electrics. They offer a wide selection of services, which includes: fault finding and repairs, bathroom lights and electrical replacements. Our impressive range of services is completed with our expert teams for; wall decorating, jet washing for garden furniture and home makeover.